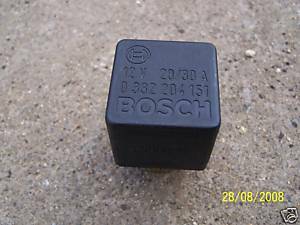 Fiat X1/9 X19 Bertone Late relay Headlamp Raise / Lifter Bosch. 85 & 86 are the switching mechanism, low tention. 87a & 87 are open/close or on off on either pins.